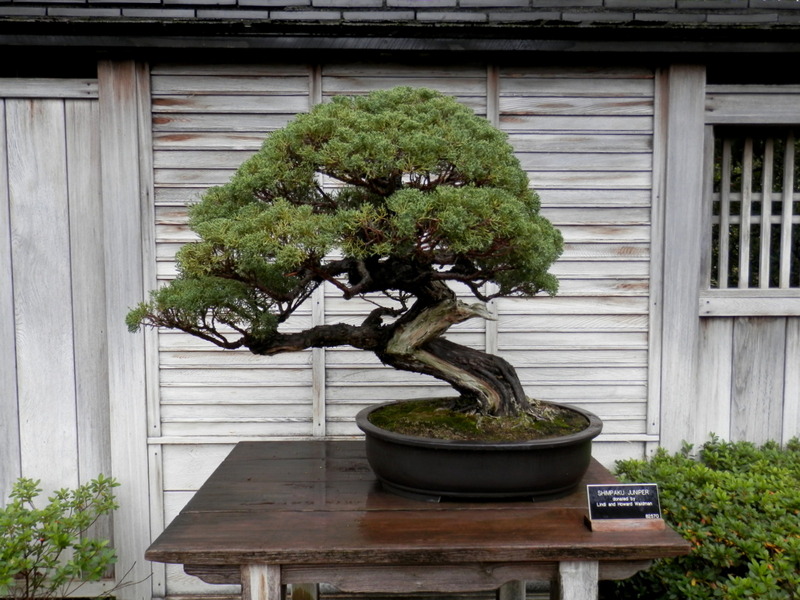 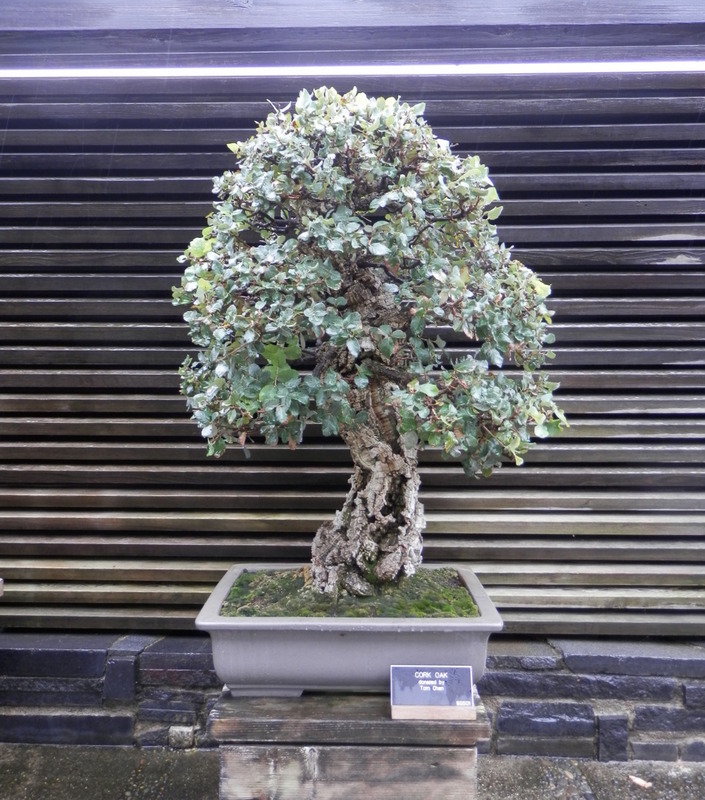 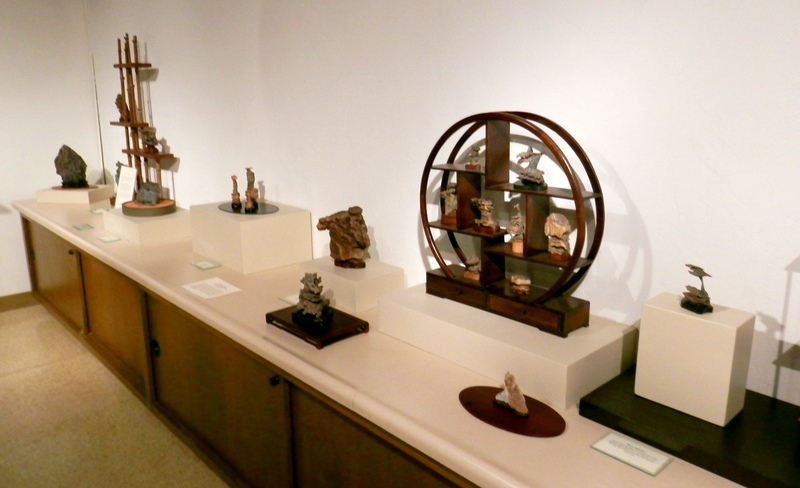 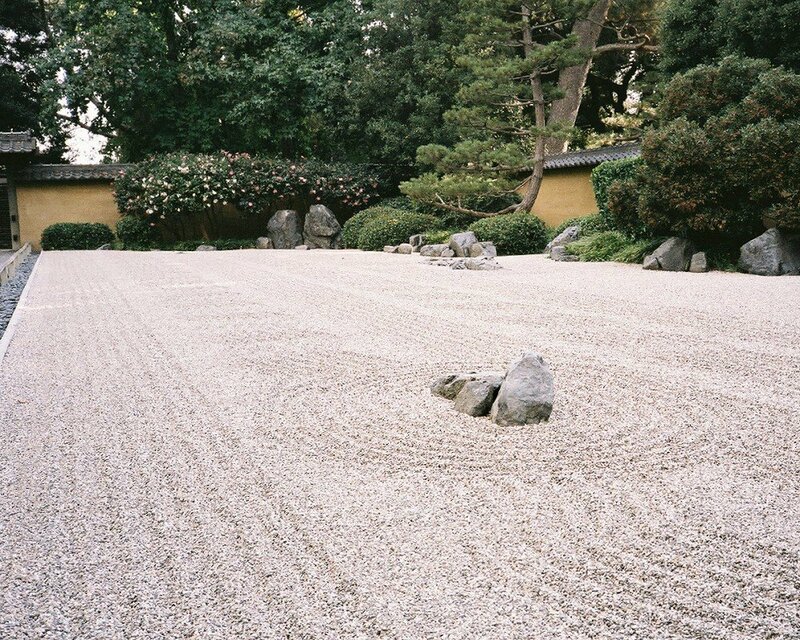 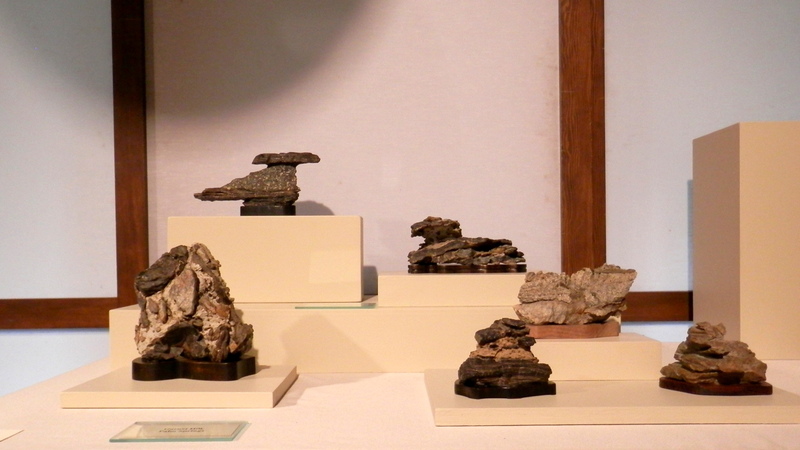 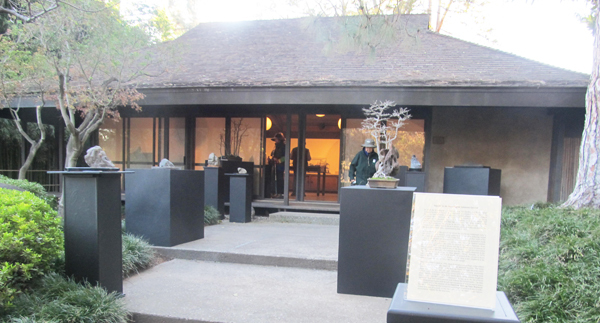 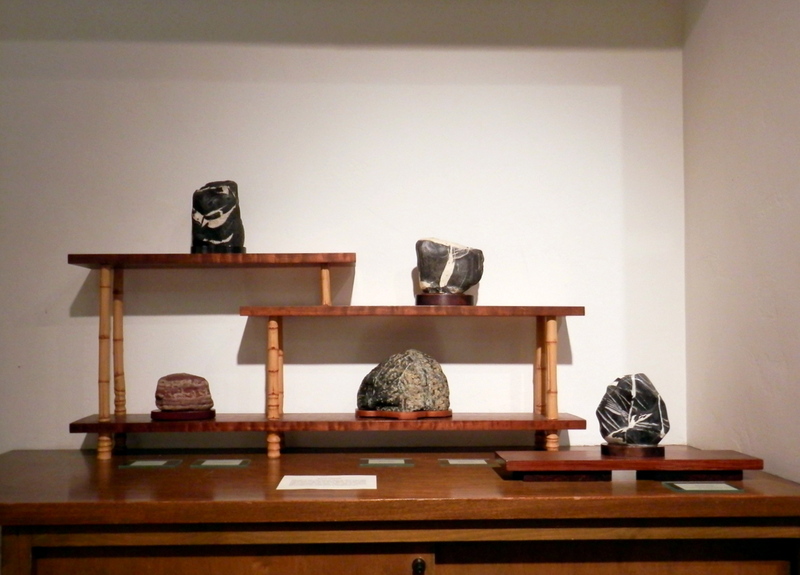 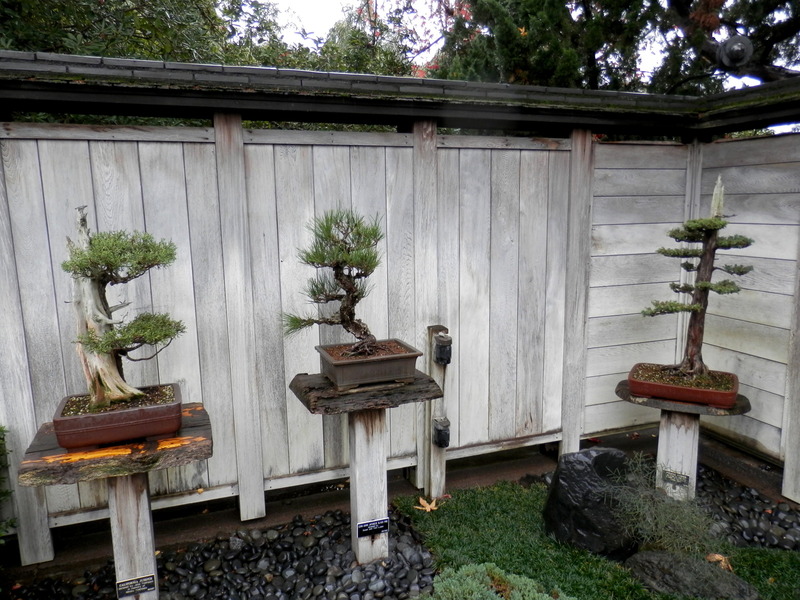 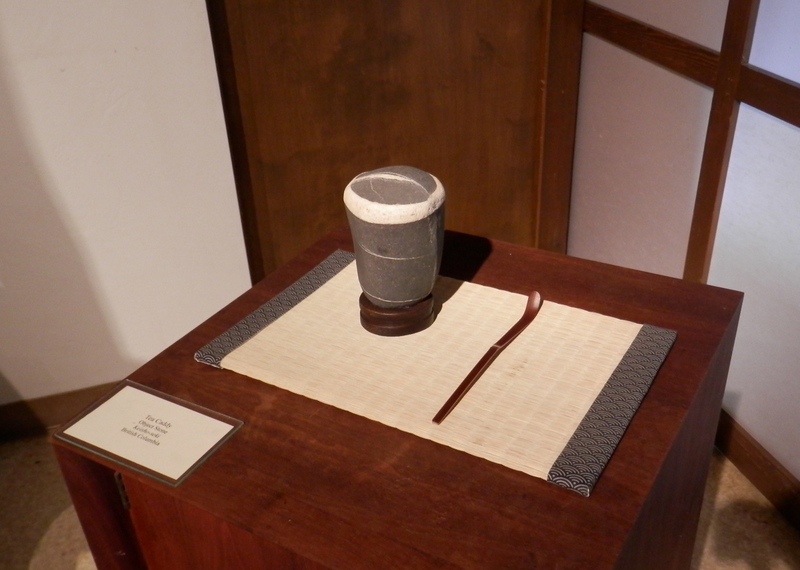 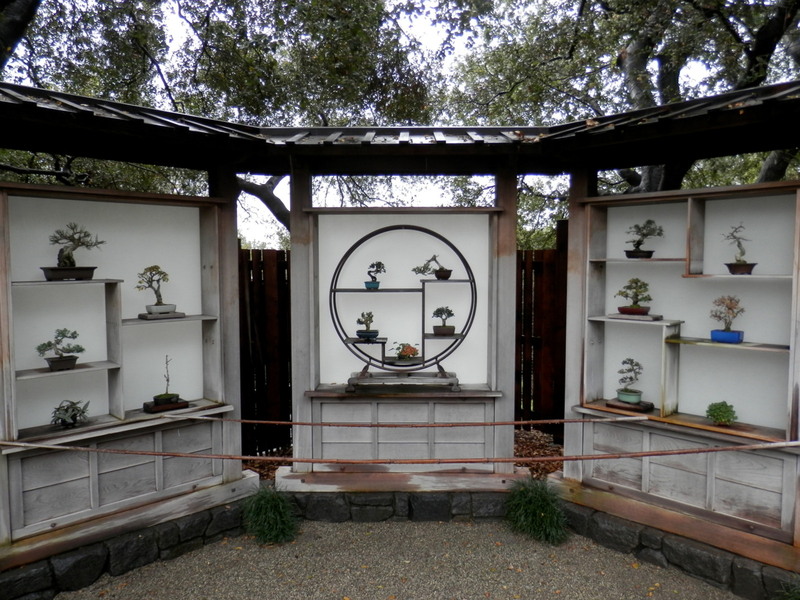 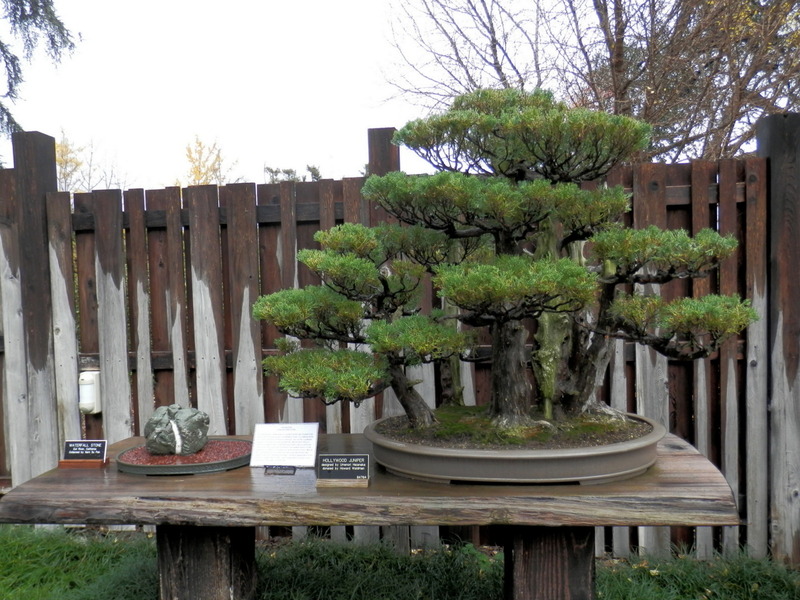 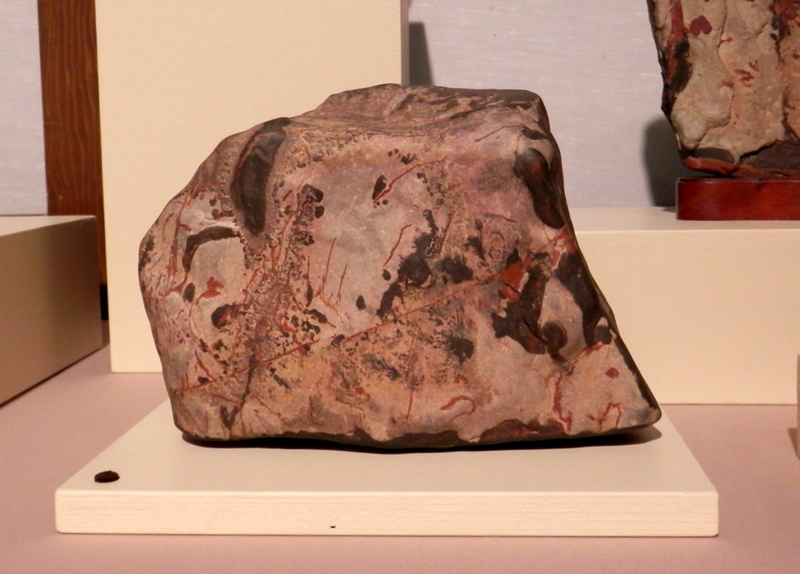 Any trip to the Huntington Library should include a visit their renowned bonsai collection. 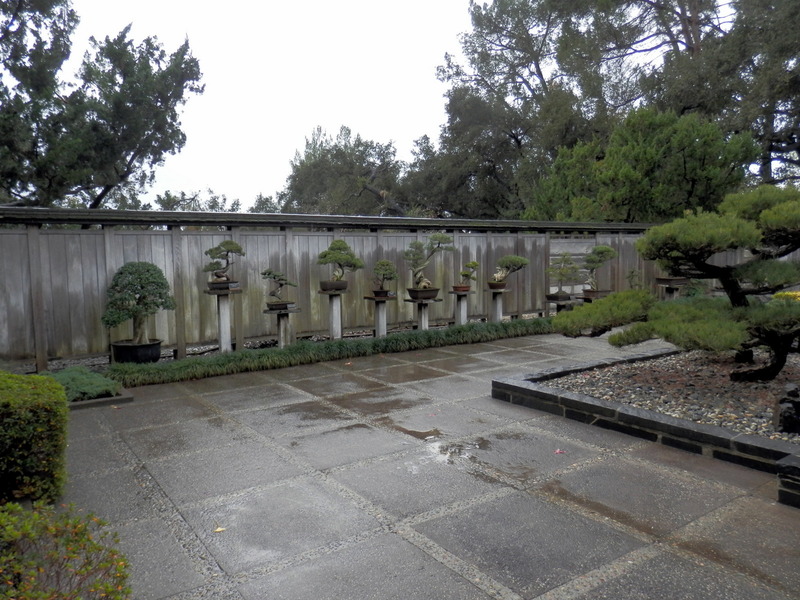 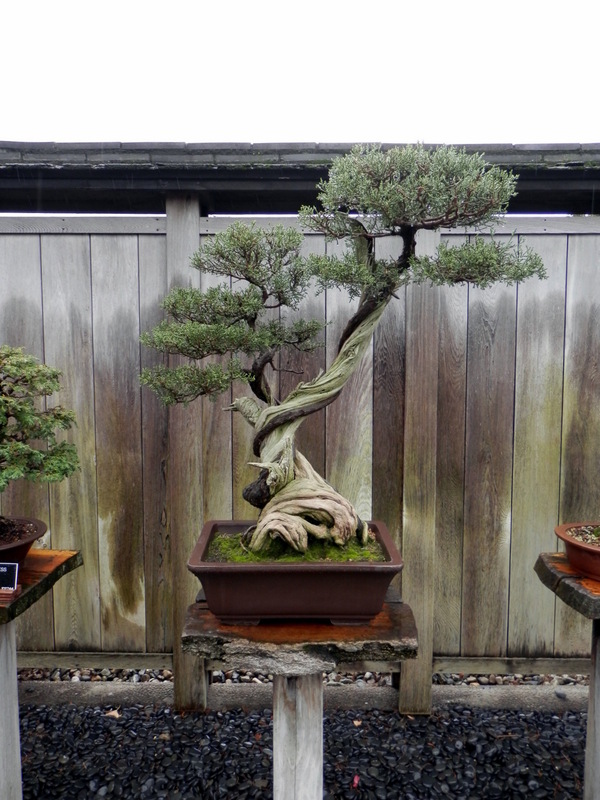 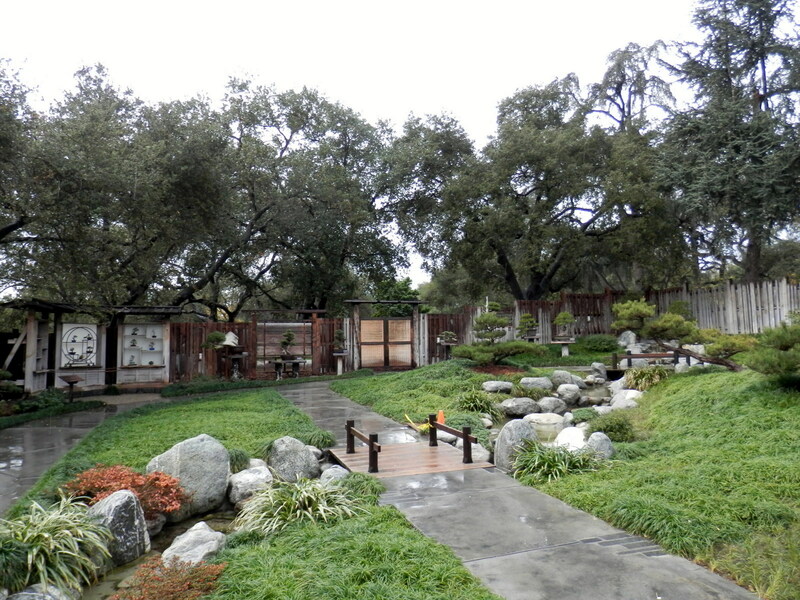 On my recent visit to the Huntington Gardens to see the annual Aiseki Kai exhibit, I made sure to stop by the Golden State Bonsai Federation’s (GSBF) bonsai collection despite a rare cold and rainy day in Southern California. 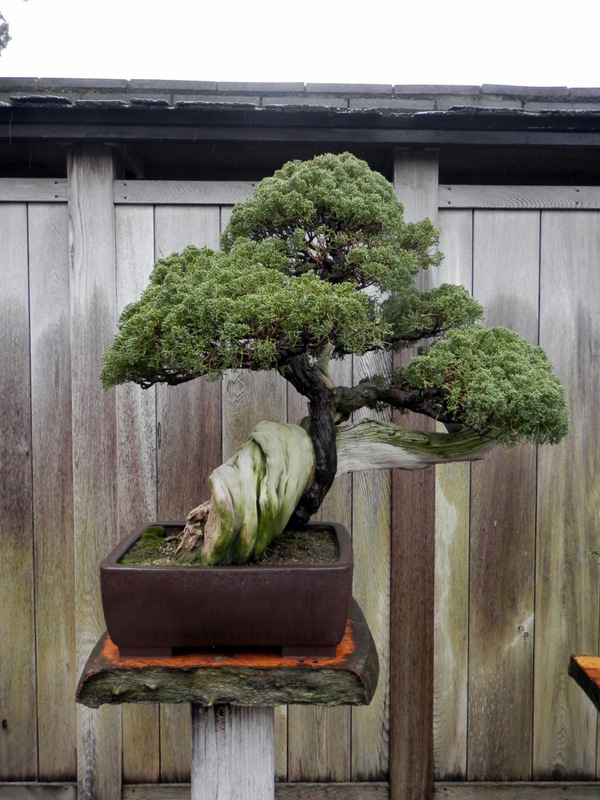 California Juniper donated by Mas Moriguchi. 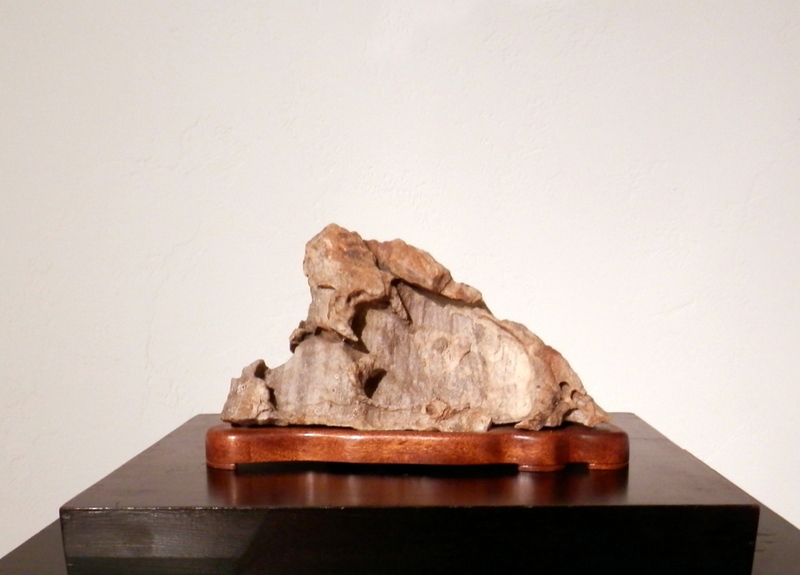 Cork Oak donated by Tom Chan. 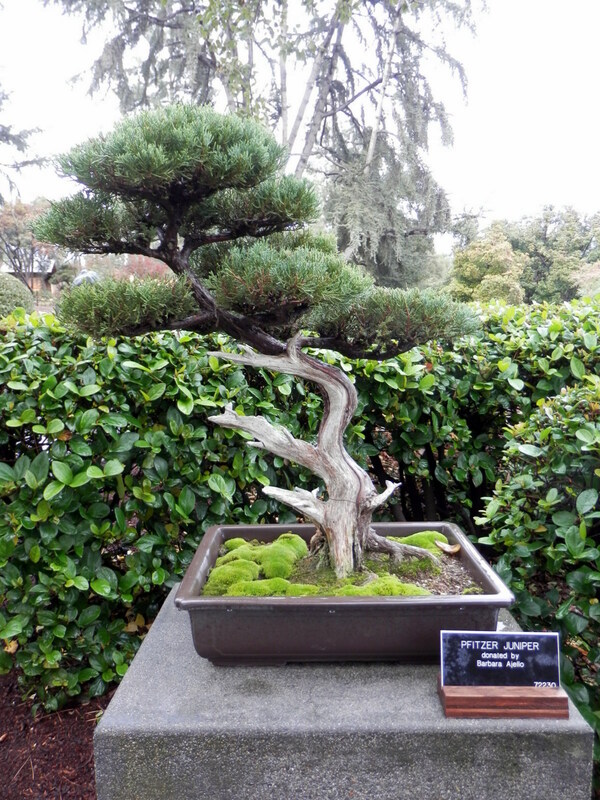 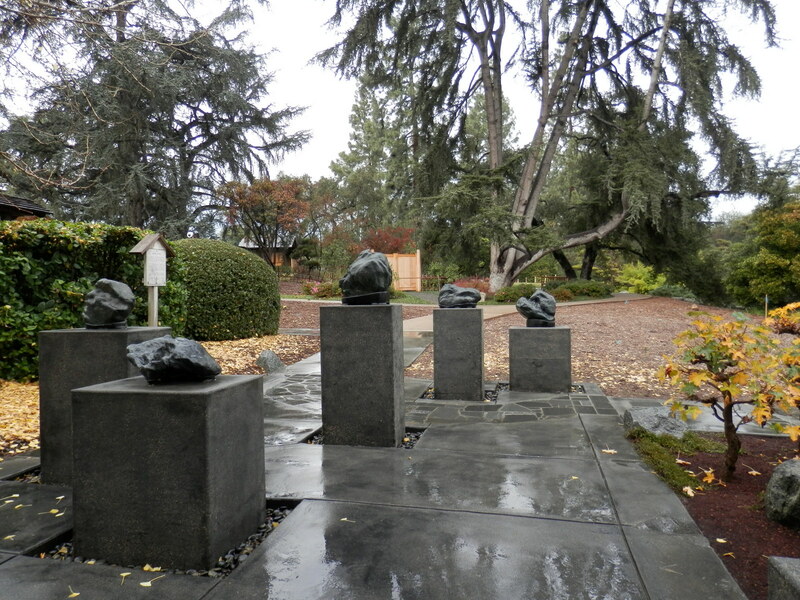 Prostrate Juniper donated Harry Hirao in memory of Alyce Hirao. 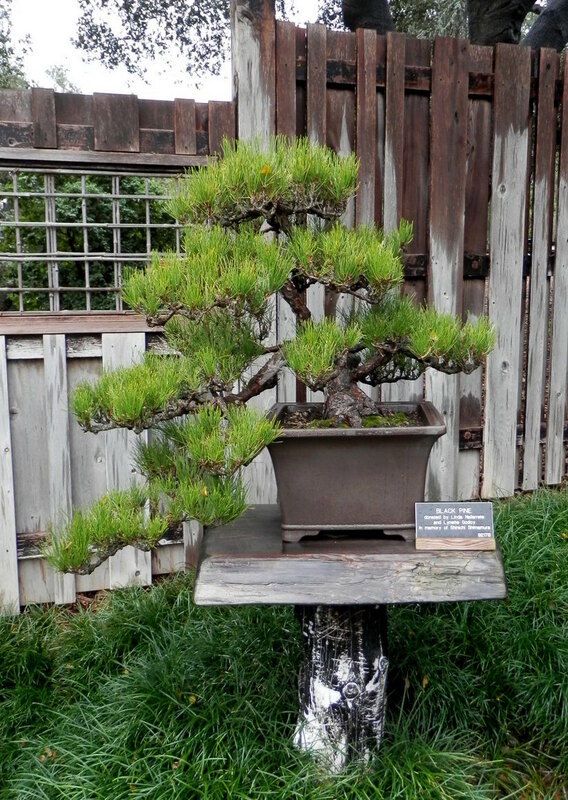 Japanese Black Pine donated by Ed Murakami. 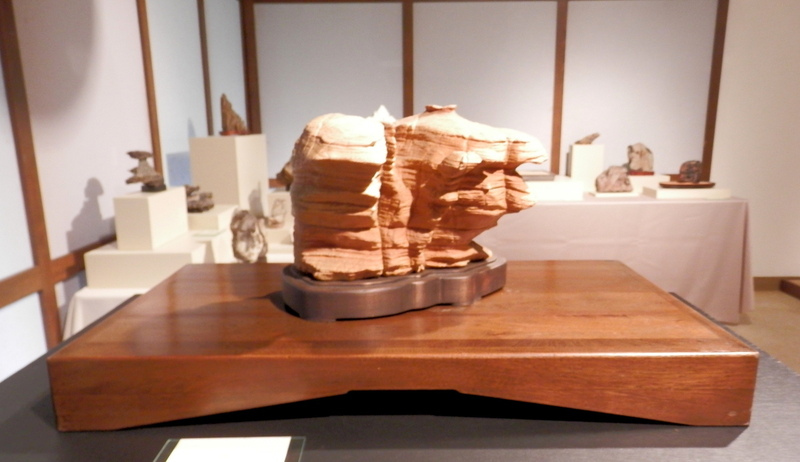 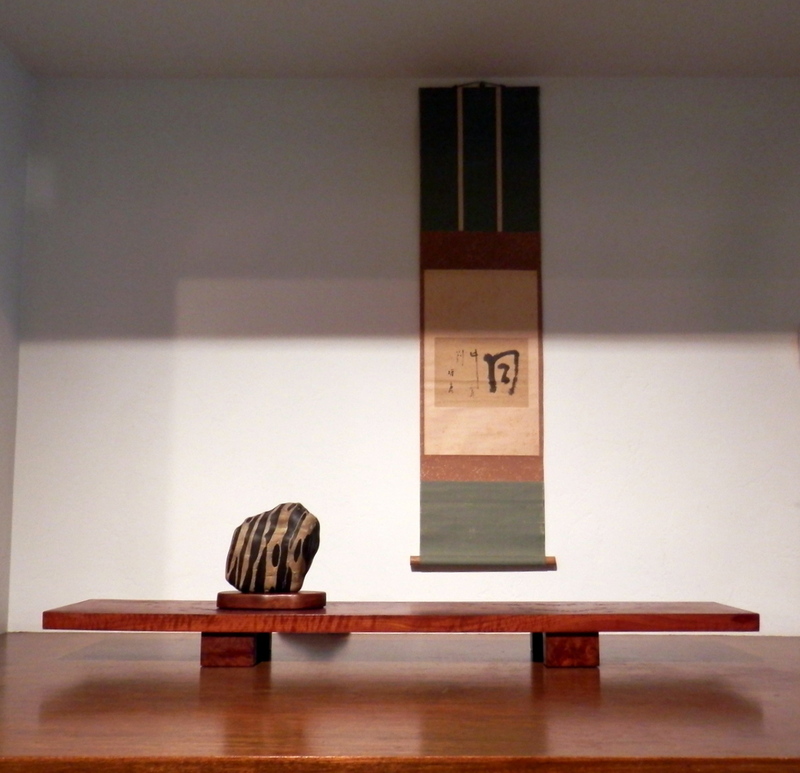 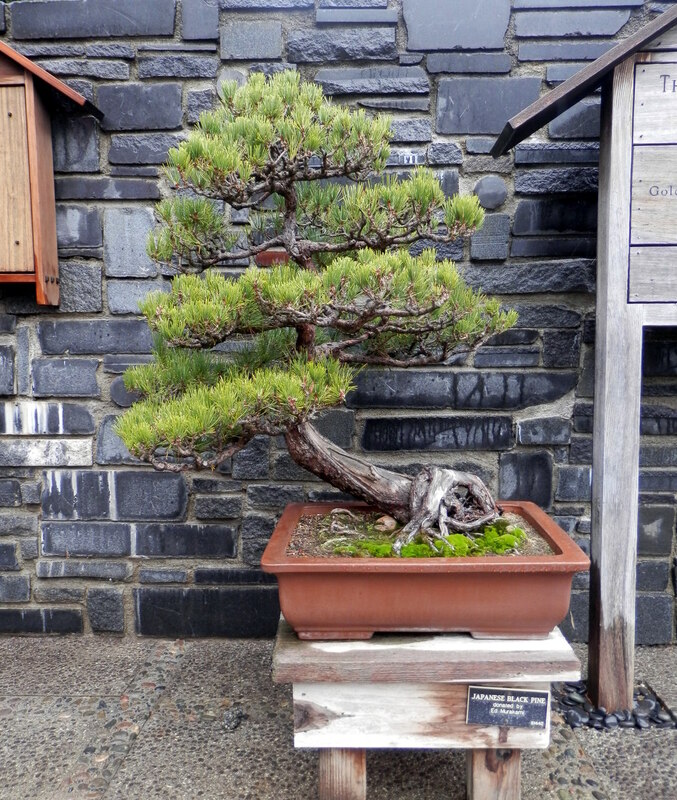 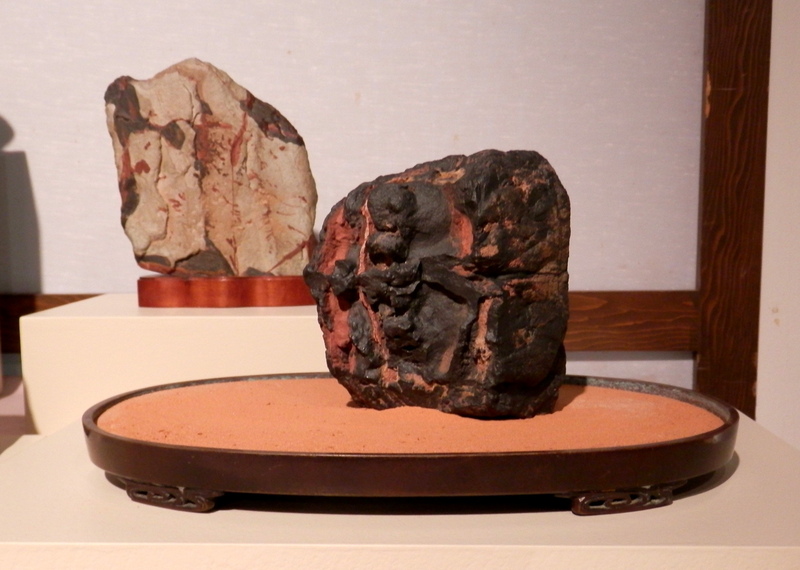 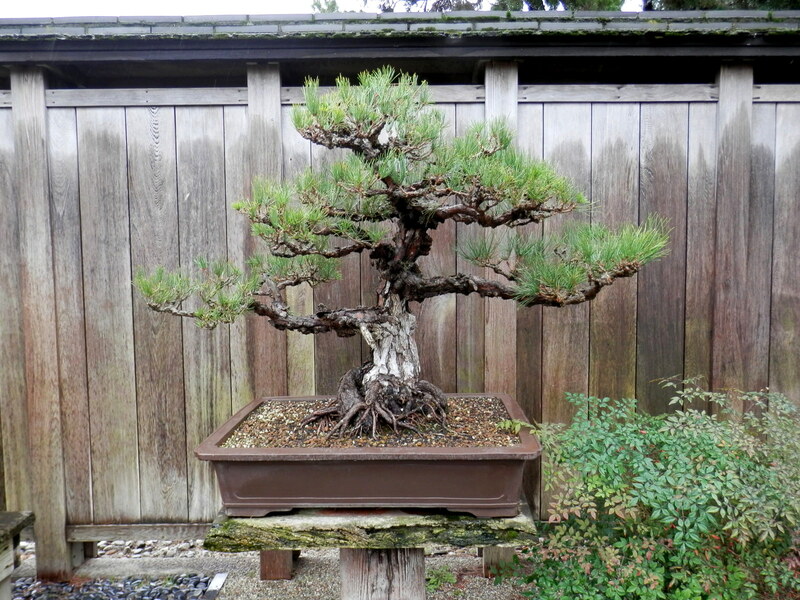 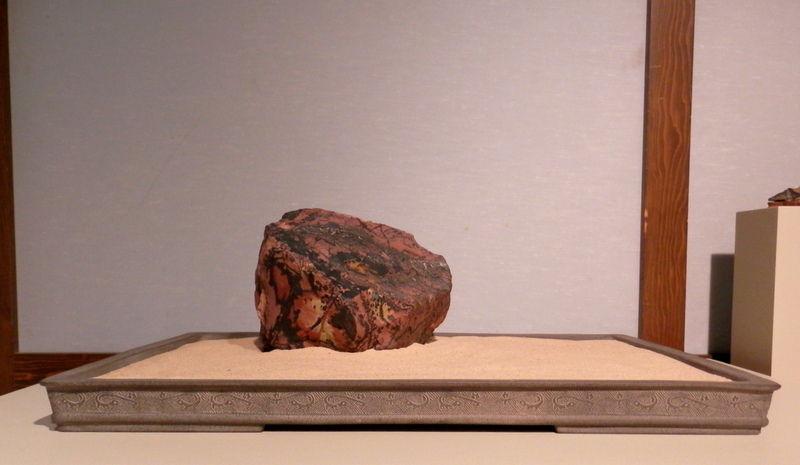 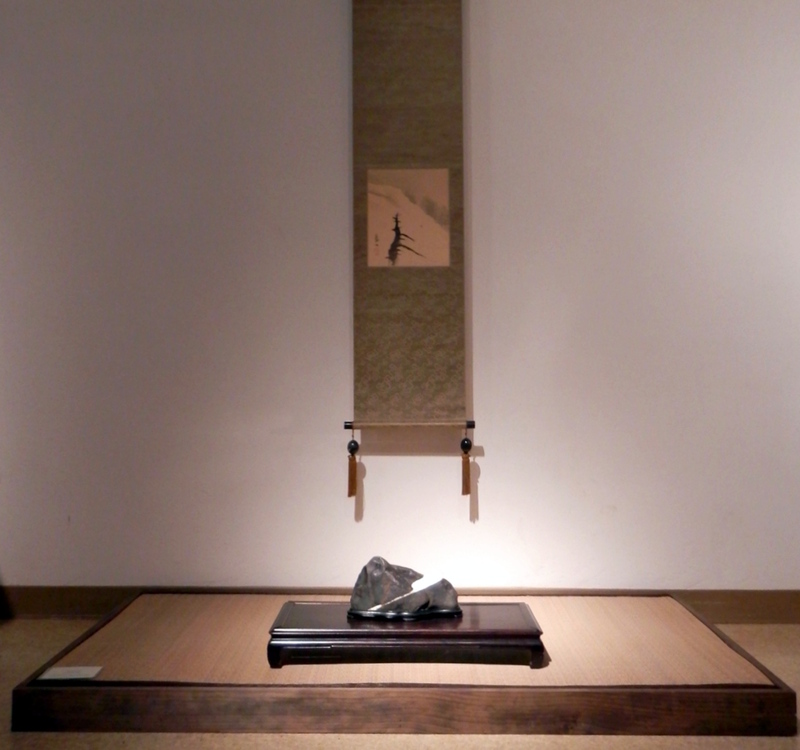 Japanese Black Pine from the Toshinori Matsuanga collection donated by Mayumi Shiira. 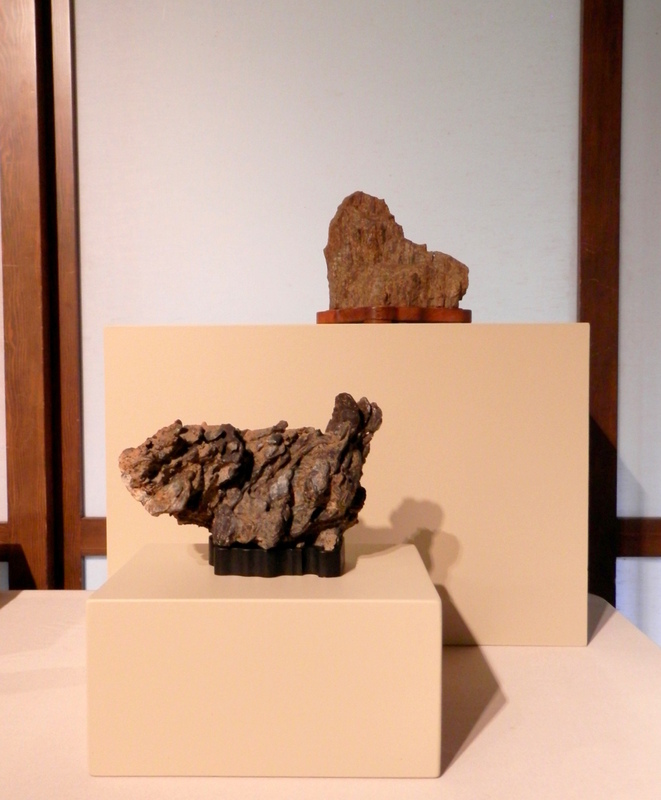 Cork Bark Japanese Black Pine donated by Ayako Tanita. 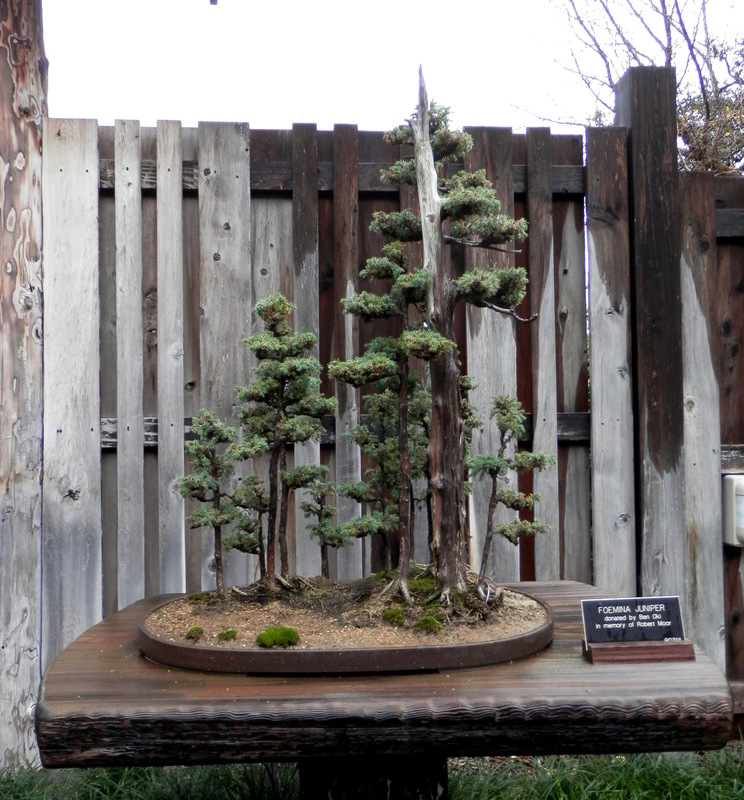 California Juniper donated by Ray Blasingame. 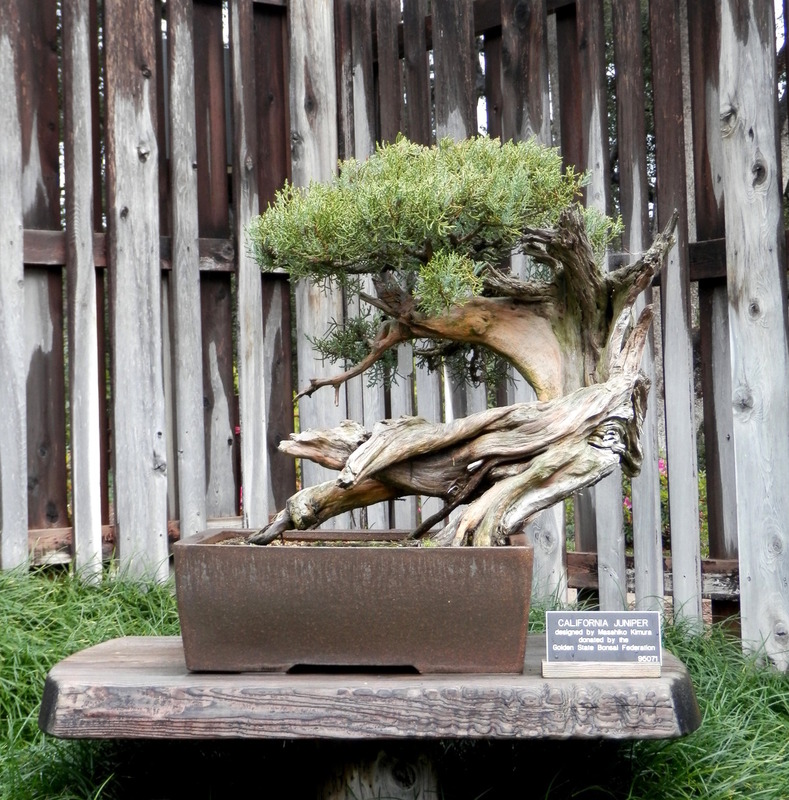 California Juniper donated by Ben Oki in memory of John Naka. 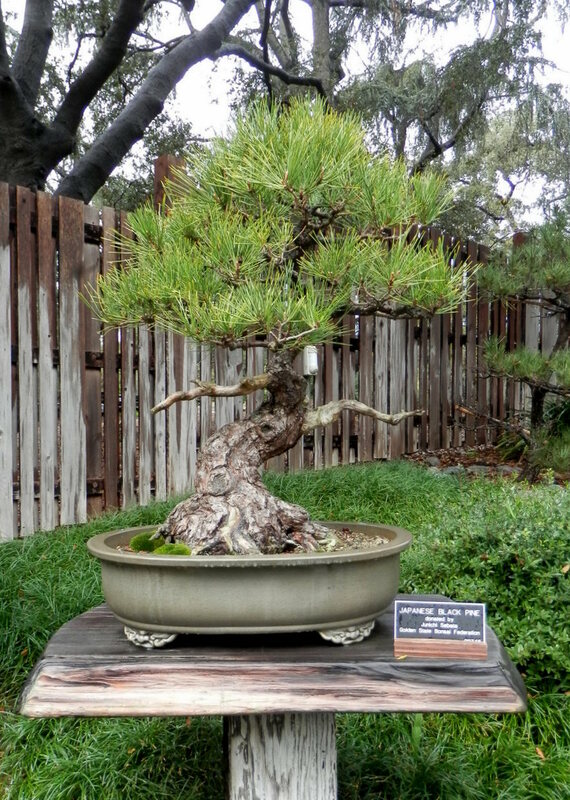 California Juniper donated by Harry Hirao in memory of Andy Vu. 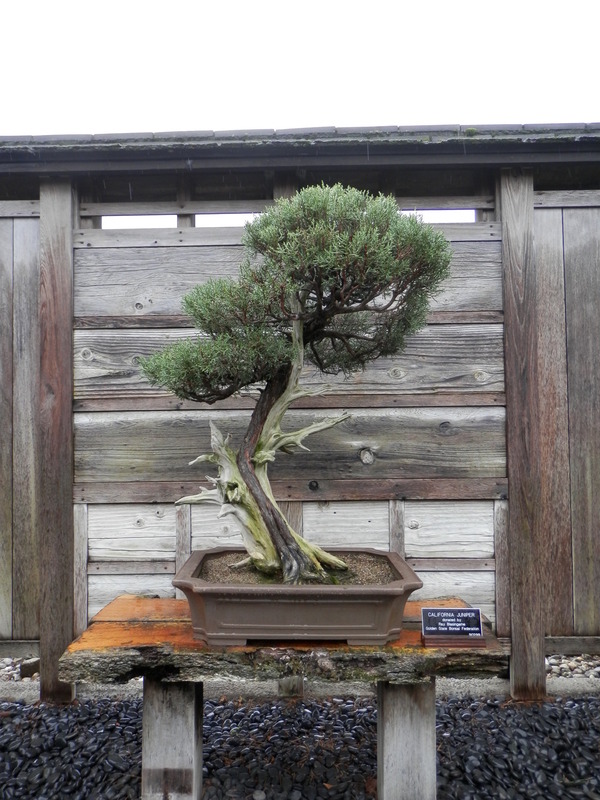 Shimpaku grafted onto California Juniper donated by Tsuruo Takata. 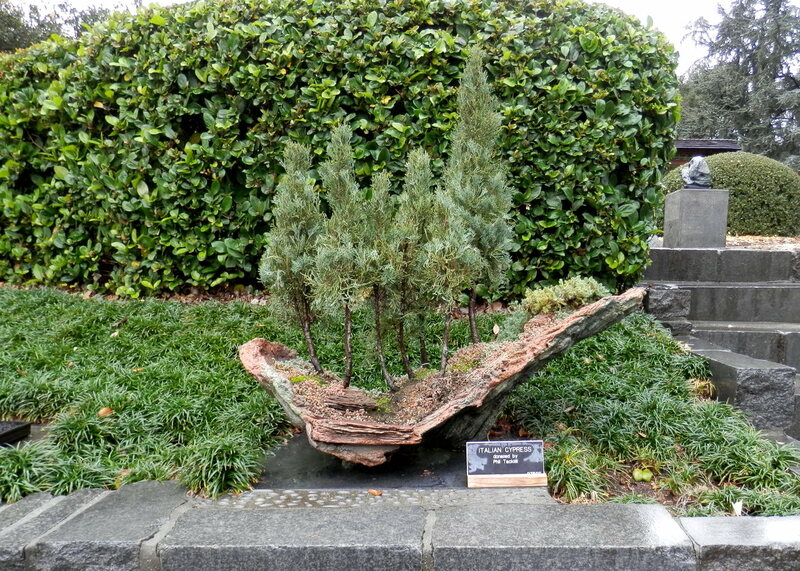 Shimpaku Juniper donated by Ayako Tanita. 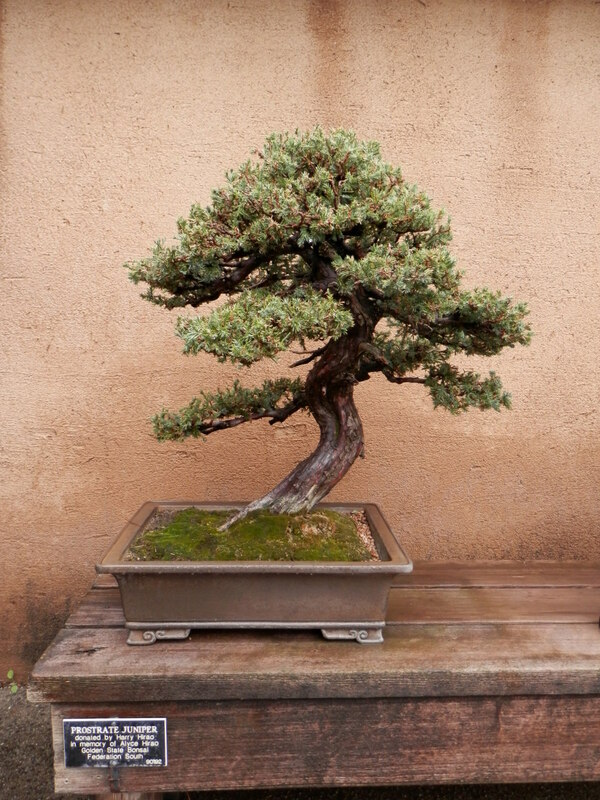 Shinpaku Juniper donated by Dr. Howard Waldman. 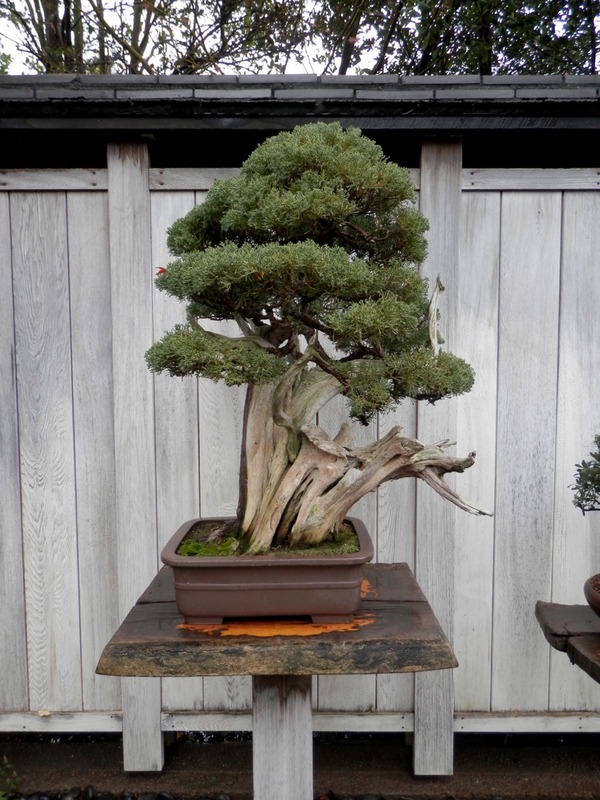 Shimpaku grafted onto California Juniper donated by Mike Shintaku. 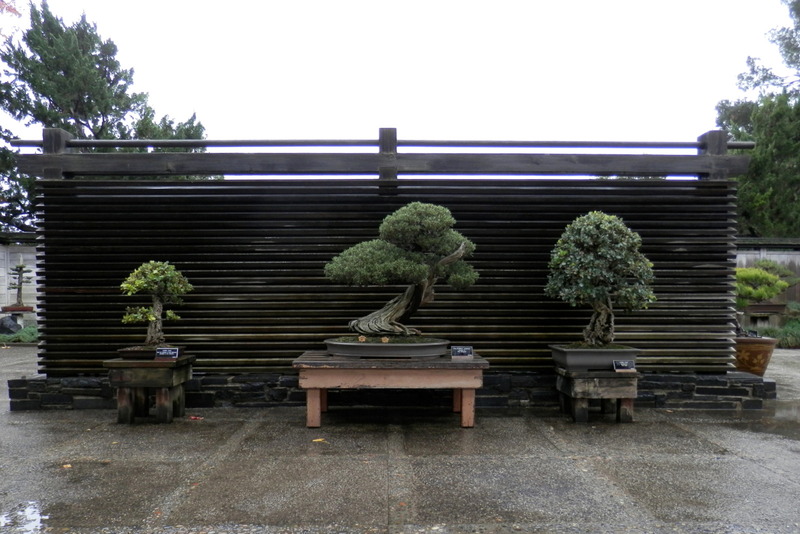 Bonsai on pedestals in the main courtyard. 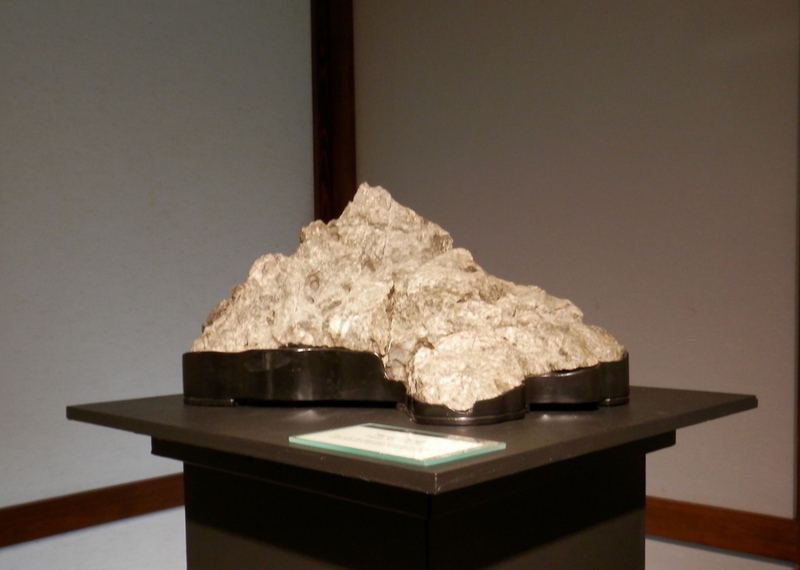 Silverberry from the Toshinori Matsuanga collection donated by Mayumi Shiira. 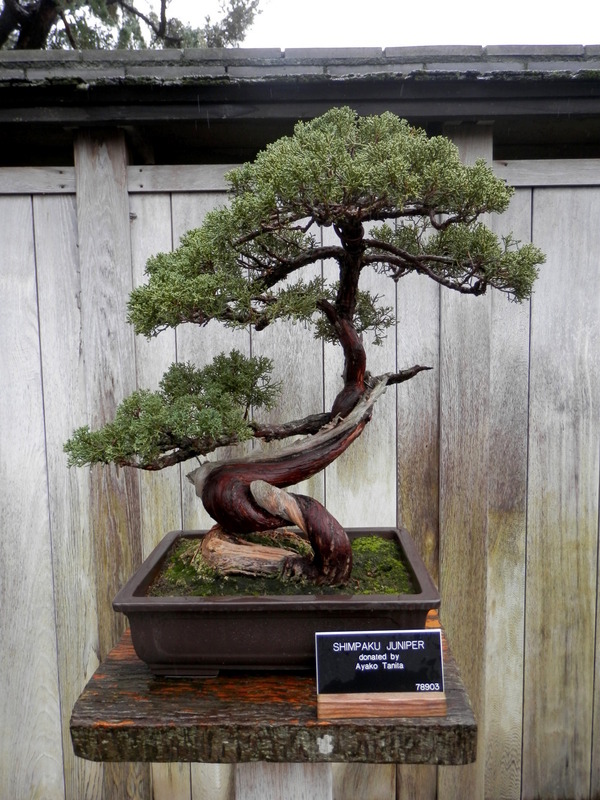 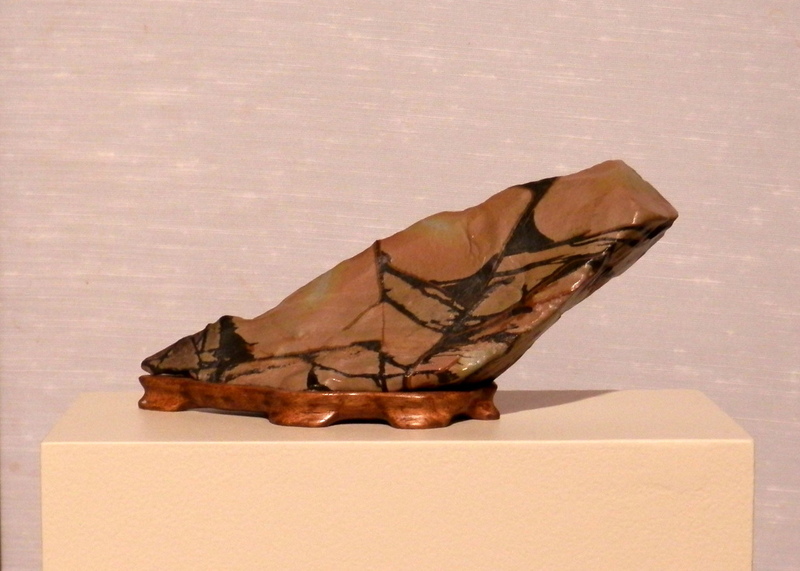 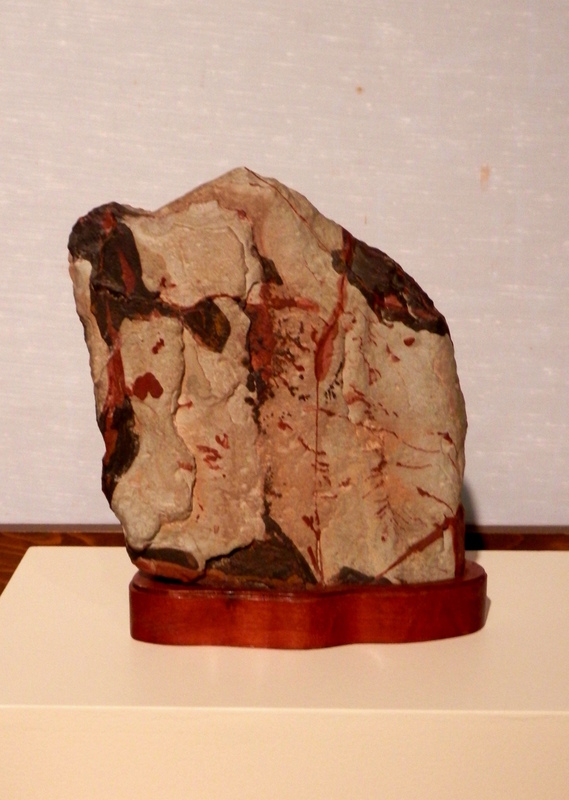 California Juniper donated by Chuichi Kawahira. 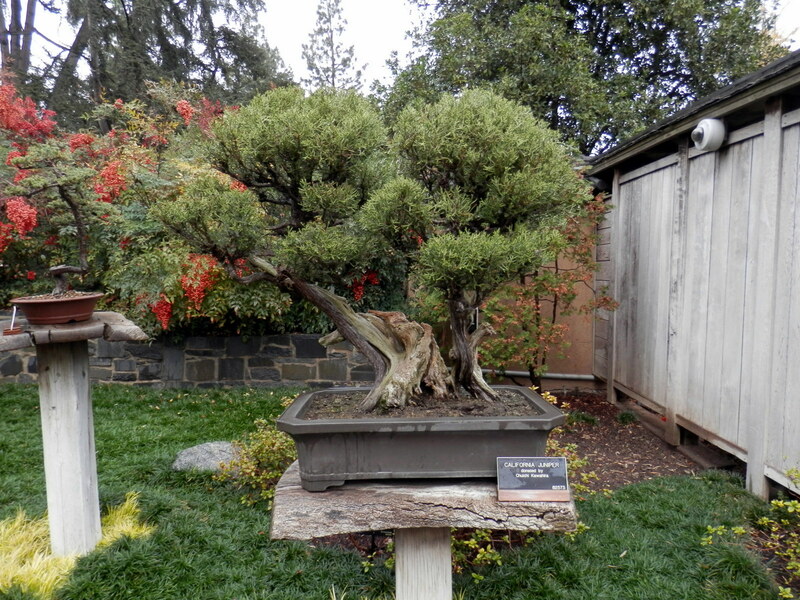 California Juniper donated by Bob Kinoshita in memory of Bill Southworth. 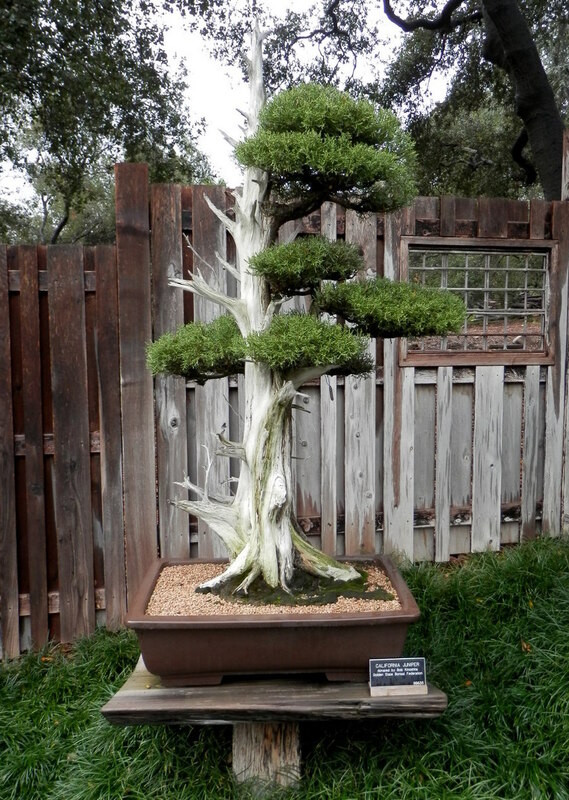 Italian Cypress donated by Phil Tacktill. 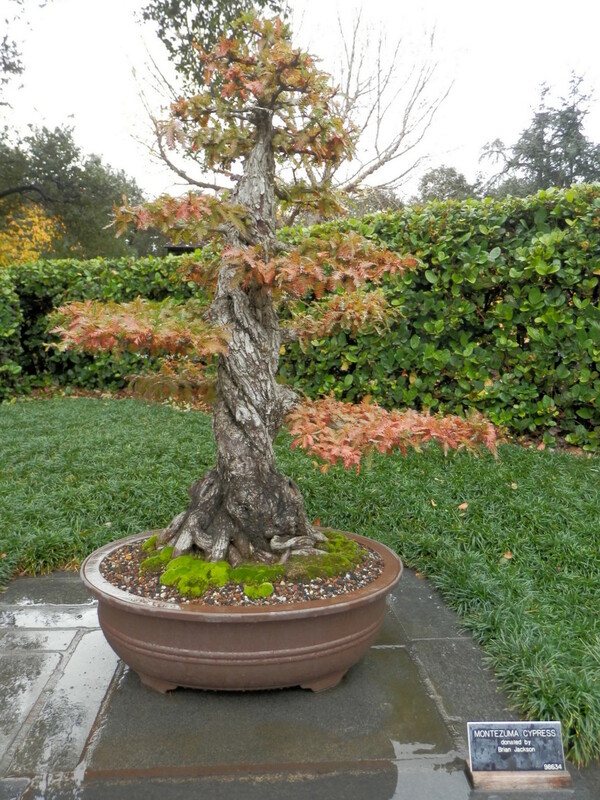 Montezuma Cypress donated by Brian Jackson. 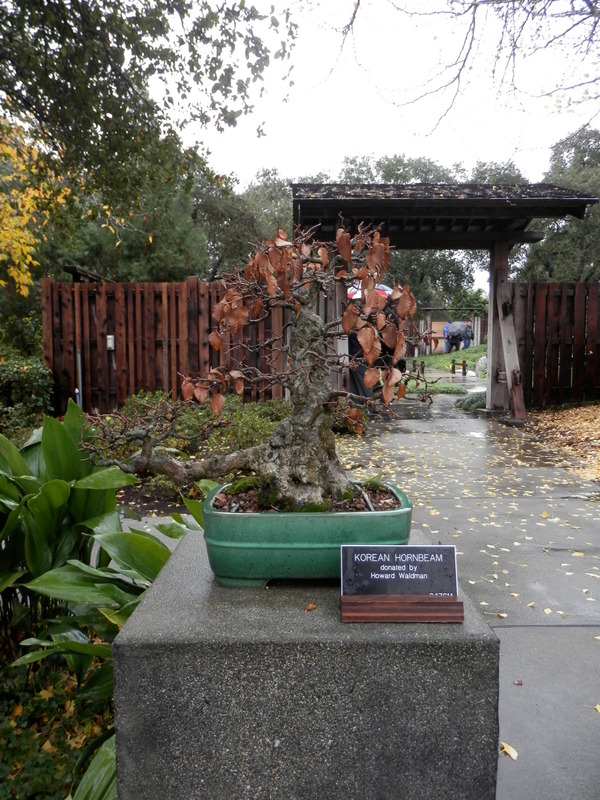 Ginkgo donated by Marty Mann. 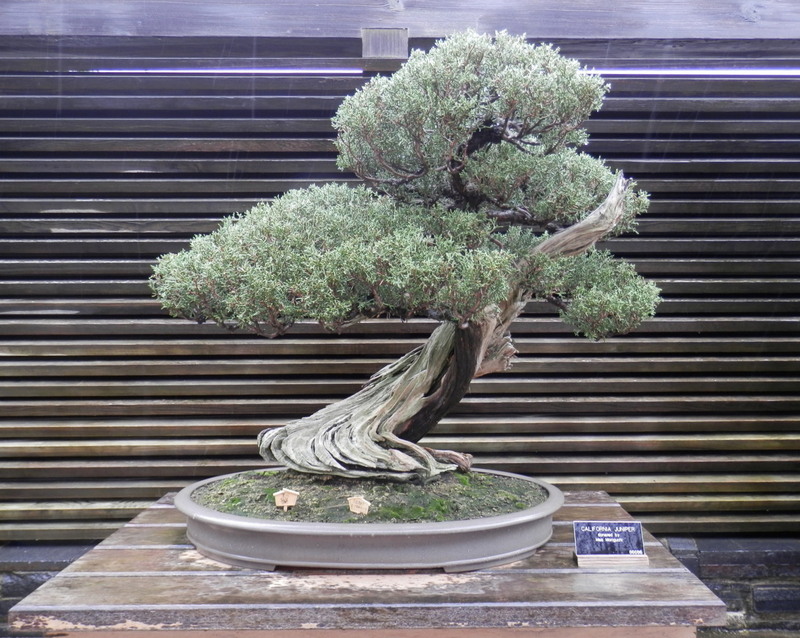 Shimpaku Juniper donated by Mr. and Mrs. Kageo Ohara. 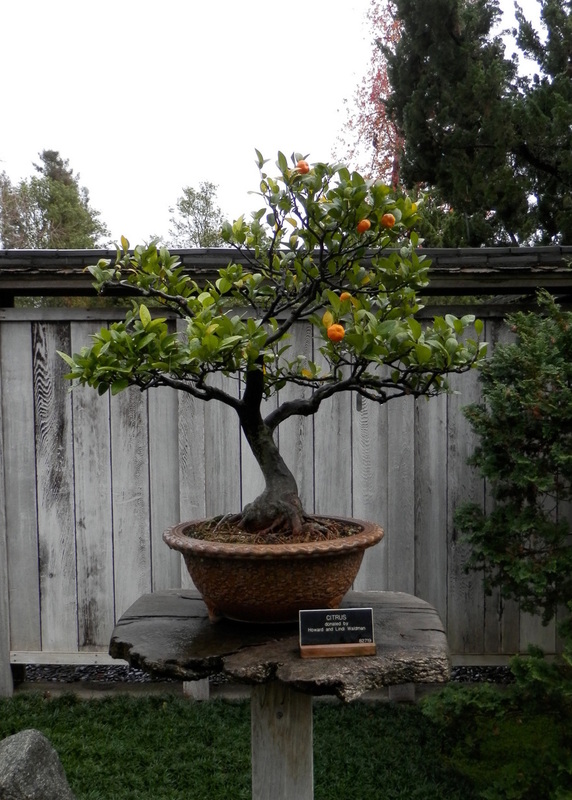 Citrus donated by Dr. Howard Waldman. 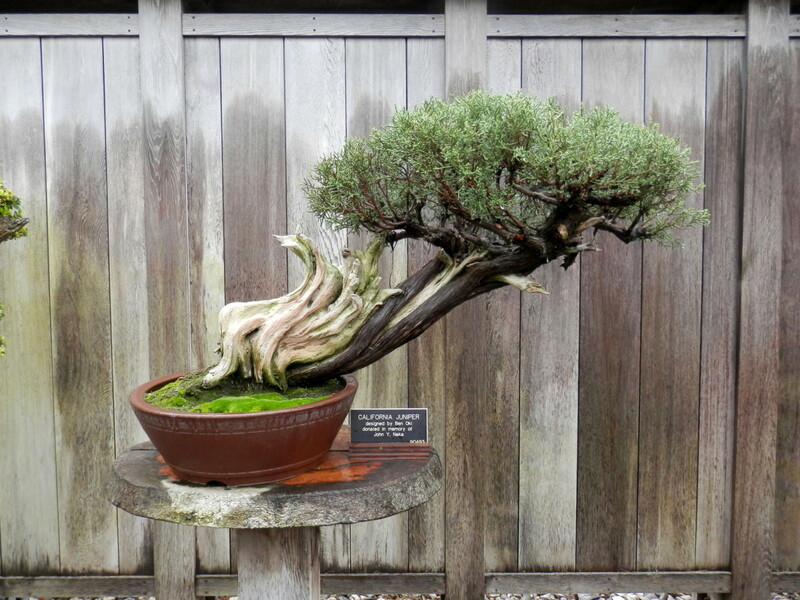 Pfitzer Juniper donated by Barbara Ajello. 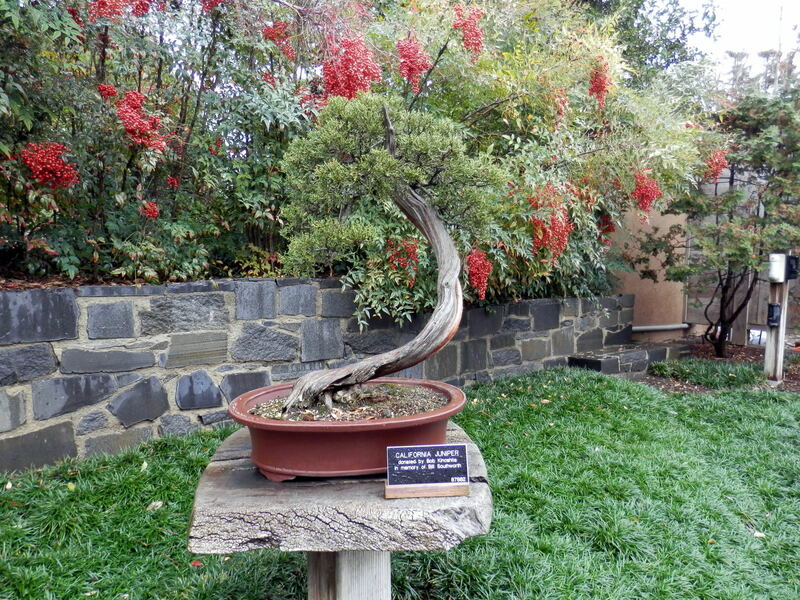 Korean Hornbeam donated by Howard Waldman. 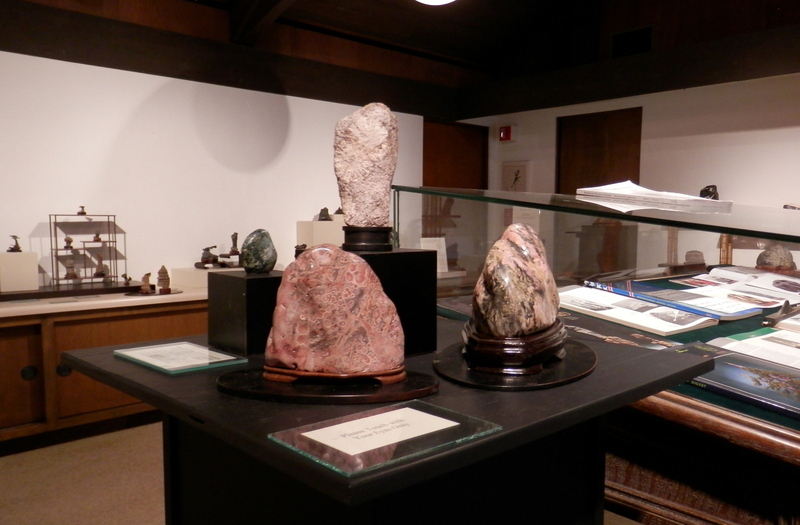 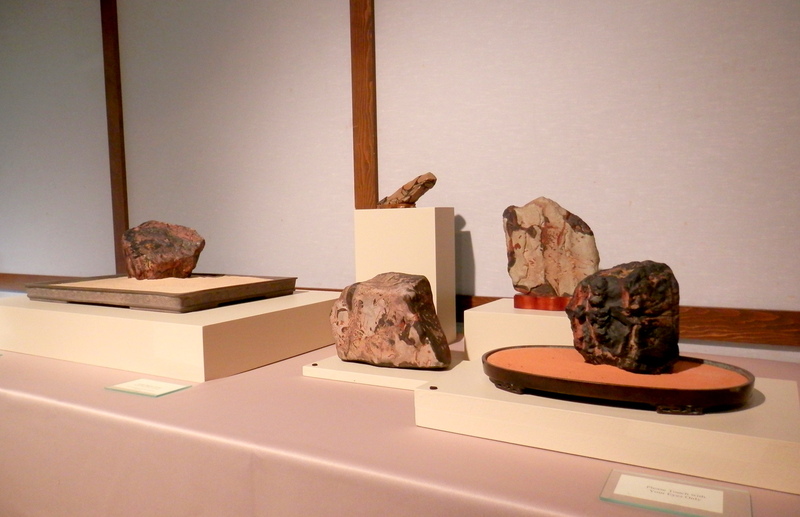 Viewing stones donated by Harry Hiaro. 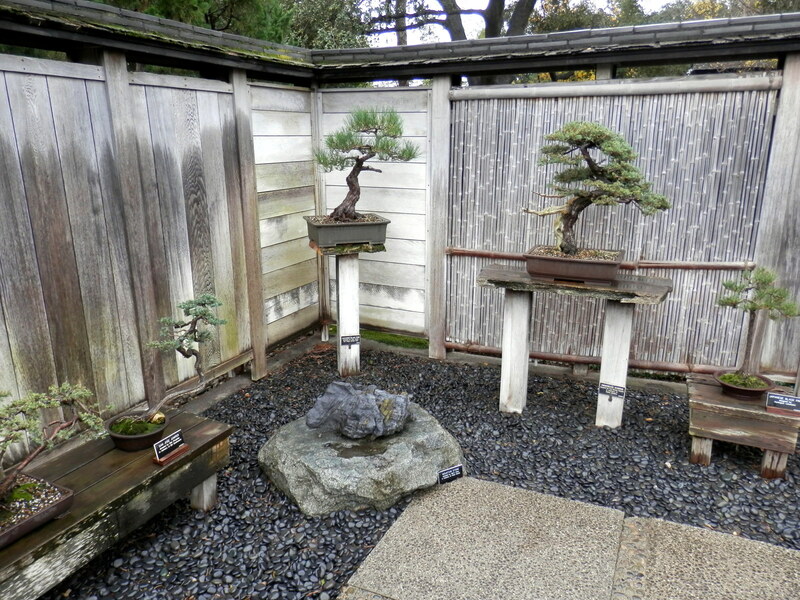 Newer expansion of the Bonsai Courtyard. 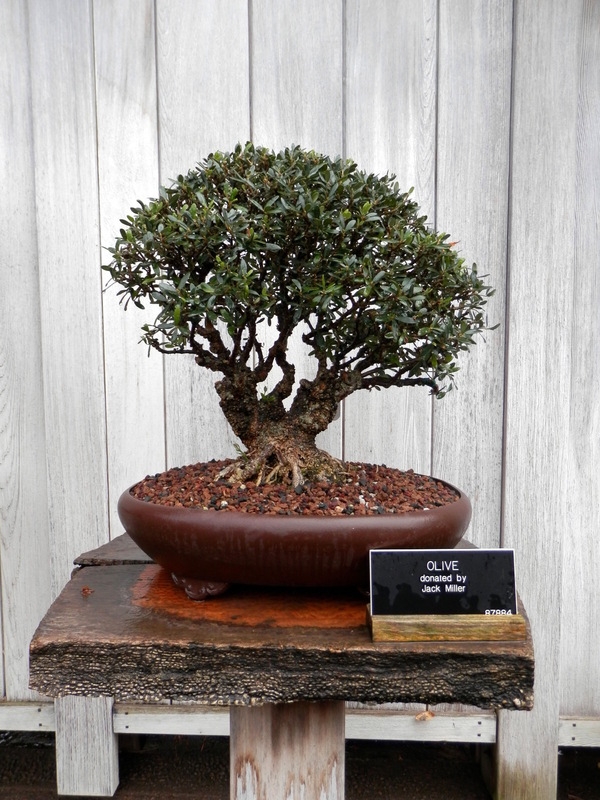 Olive donated by Joseph Cohn. 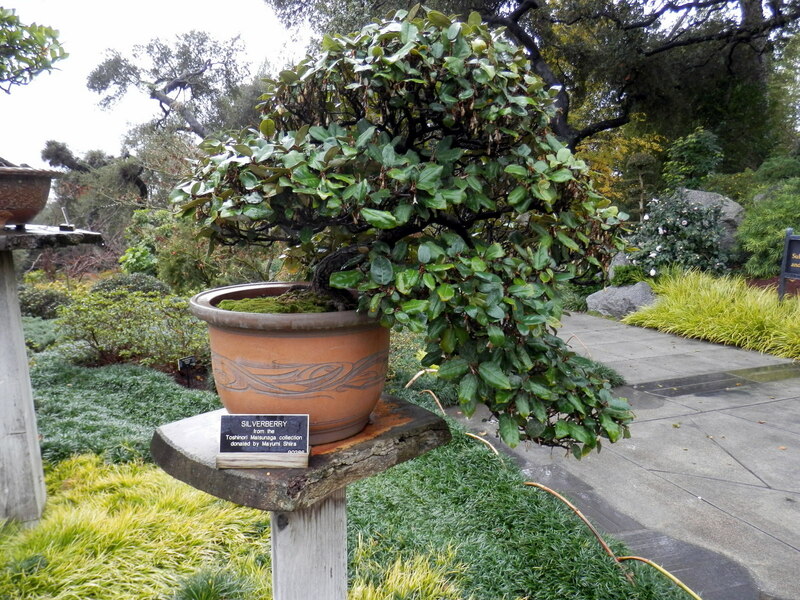 Hollywood Juniper donated Howard Waldman. 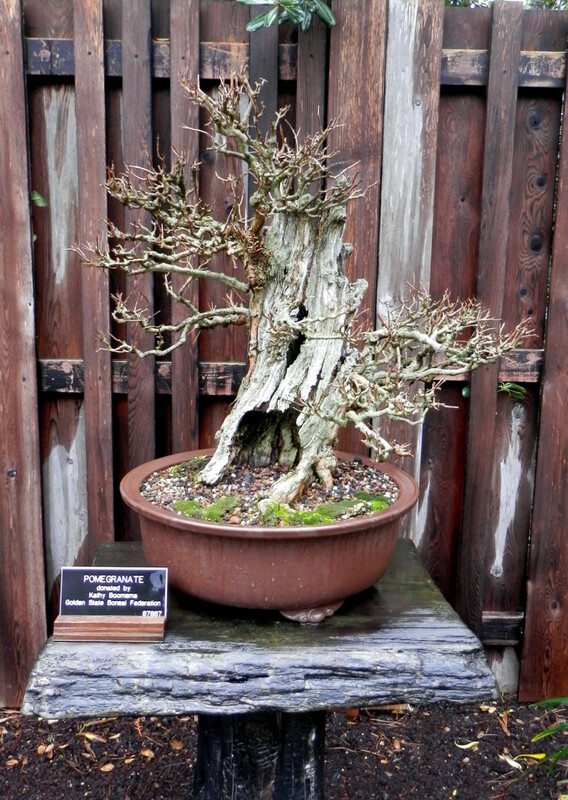 Pyracanth donated by John Naka. 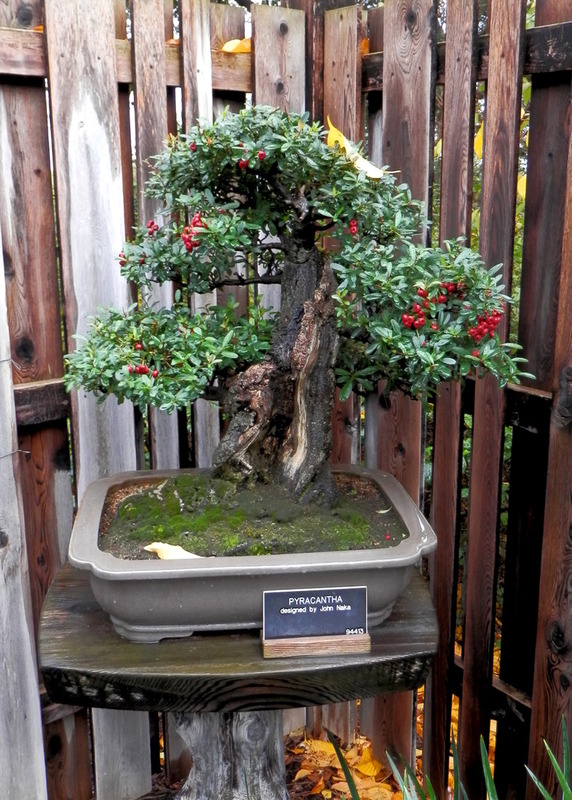 Pomegranate donated by Kathy Boomsma. 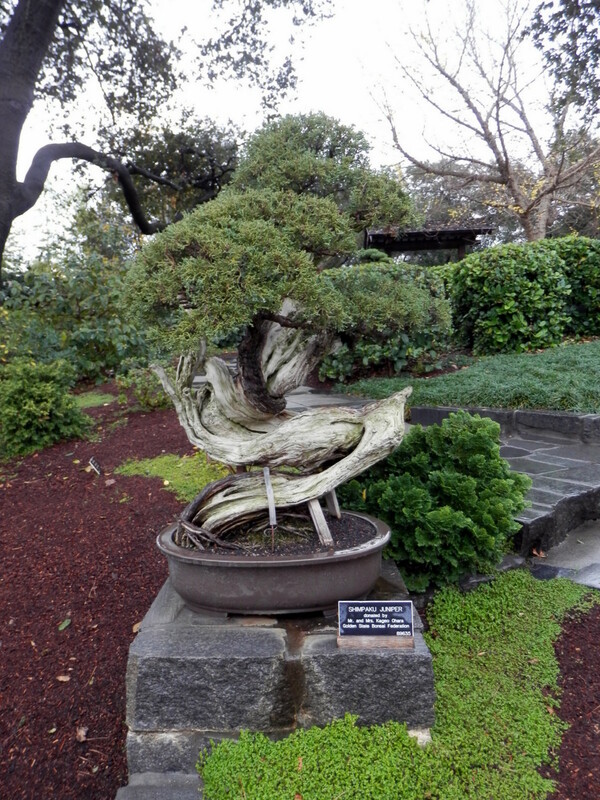 Californai Juniper donated by Bob Kinoshita. 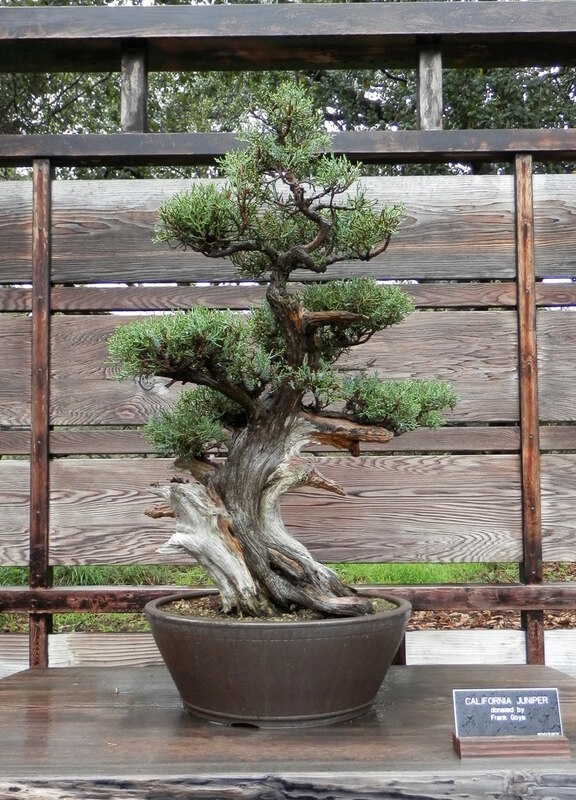 California Juniper donated by Shig Mia. 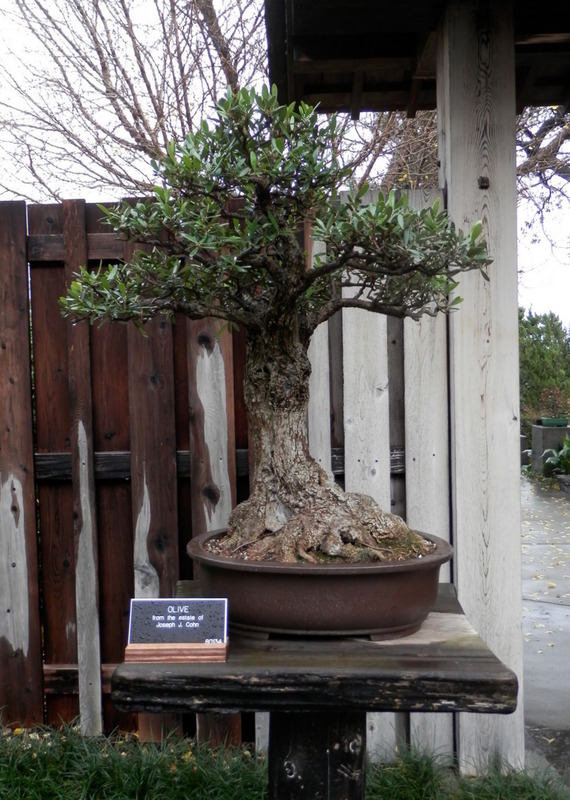 Californai Juniper donated by Frank Goya. 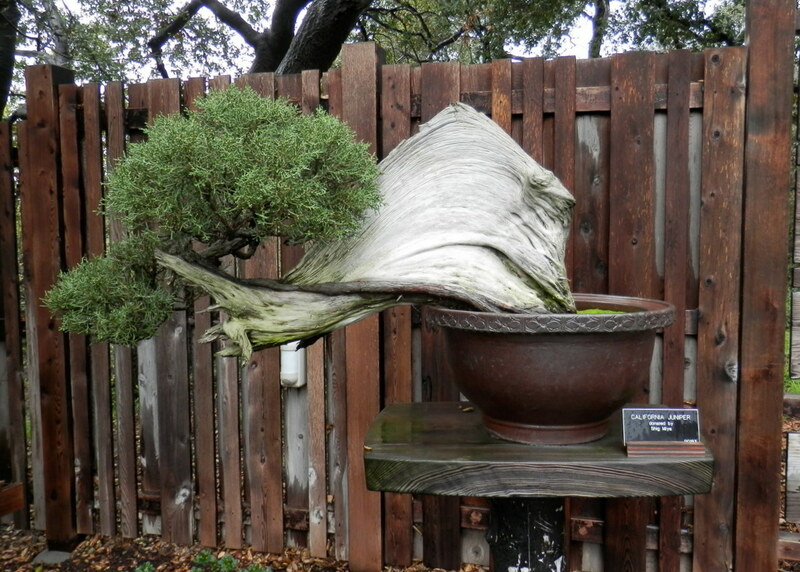 California Juniper donated by Bob Kinoshita. 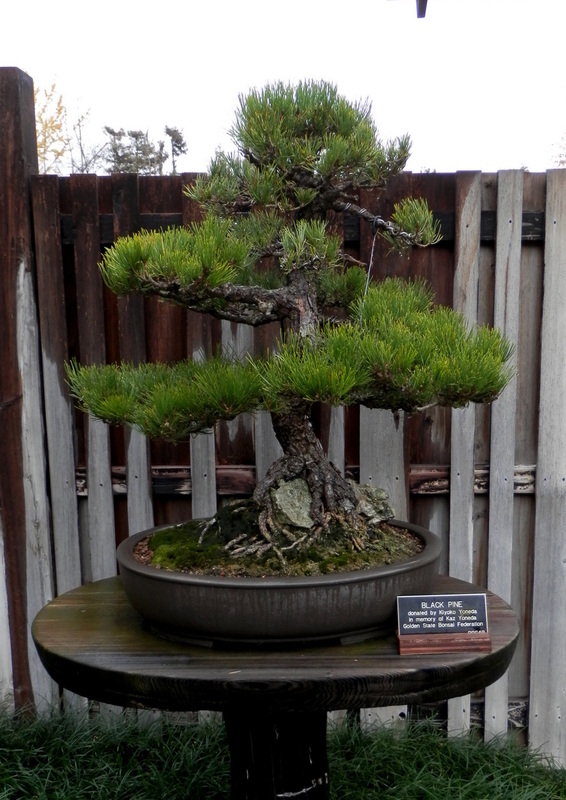 Japanese Black Pine donated by Junichi Sebata. 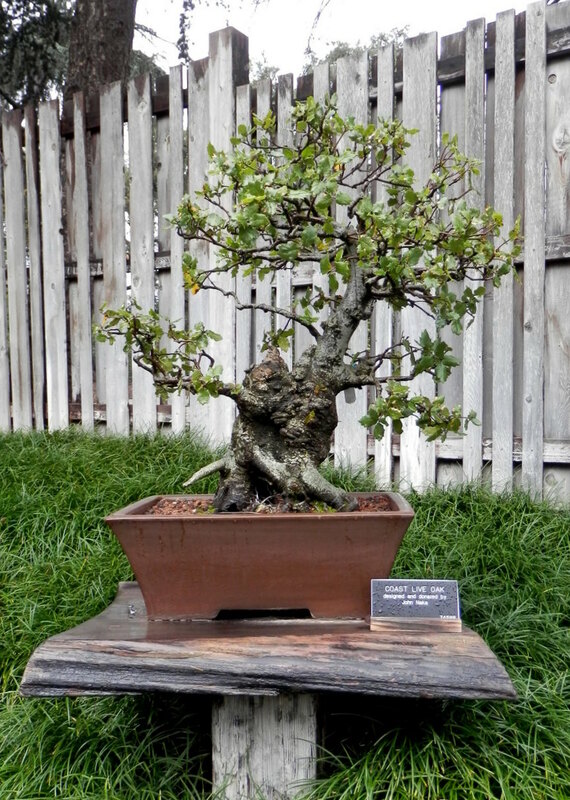 Coast Live Oak donated by John Naka. 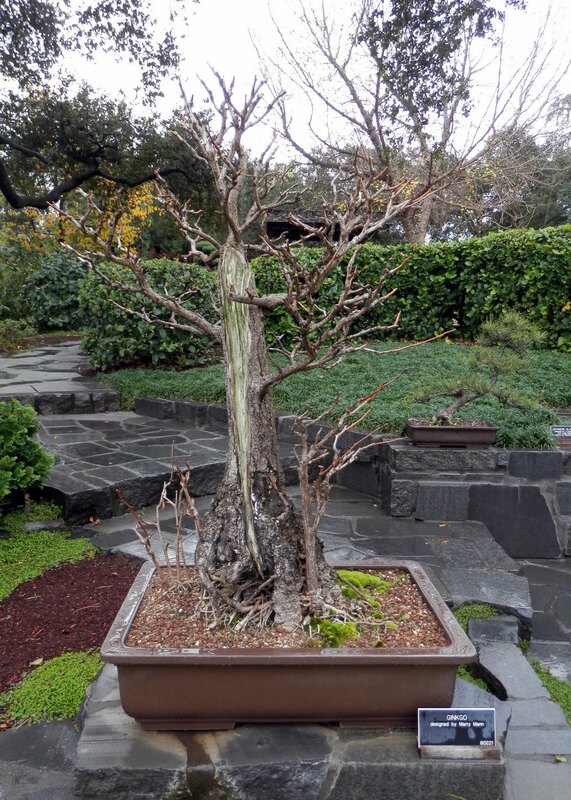 Bald Cypress donated by Dung Cao in memory of Thu Cao. 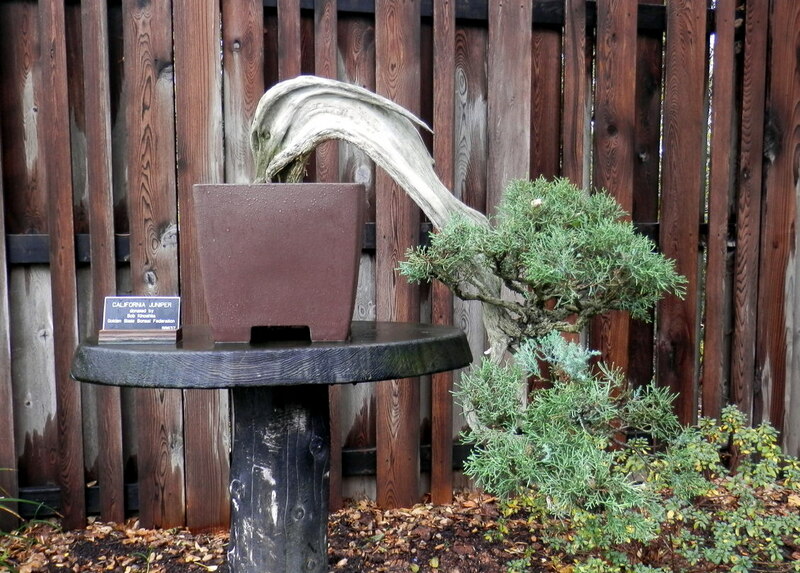 California Juniper designed by Masahiko Kimura. 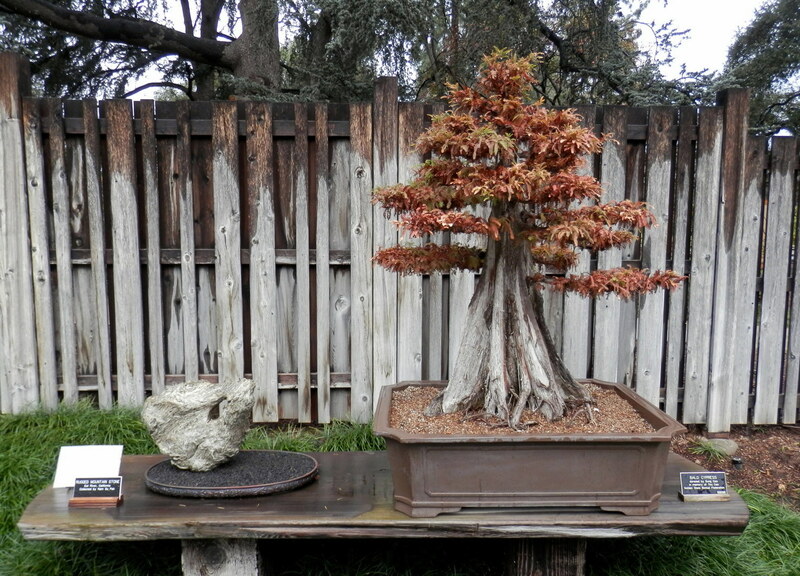 California Juniper donated Grigsby Catcus Gardens. 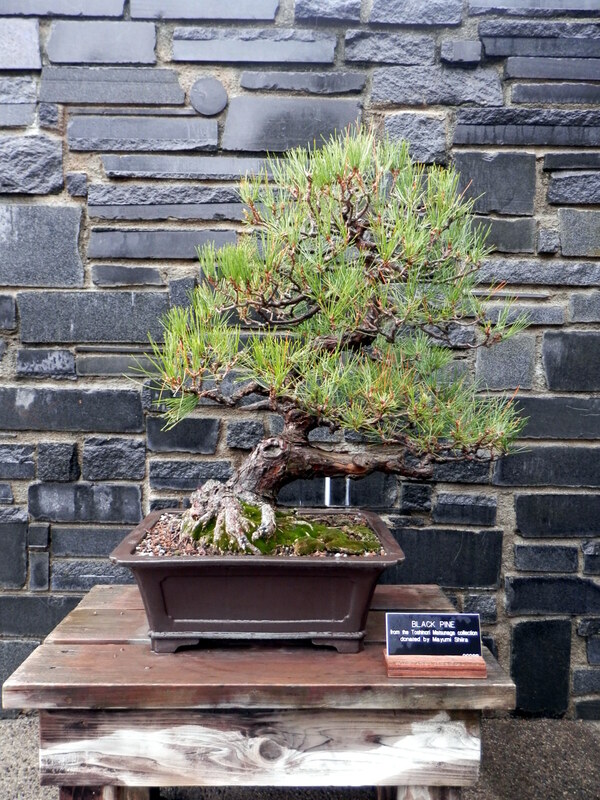 Japanese Black Pine donate by Kiyoko Yoneda in memory of Kaz Yoneda. 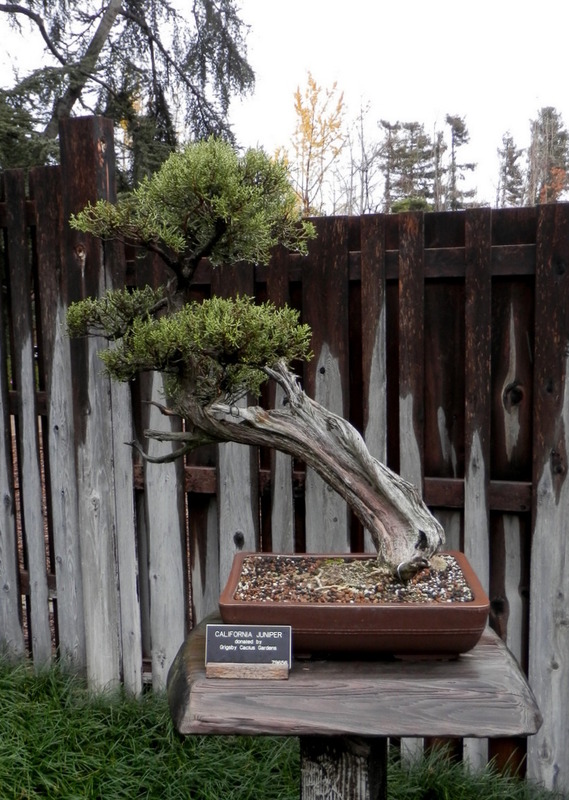 Foemina Juniper donated by Ben Oki in memory of Robert Moor.